Friday is National Thrift Shop Day!!! 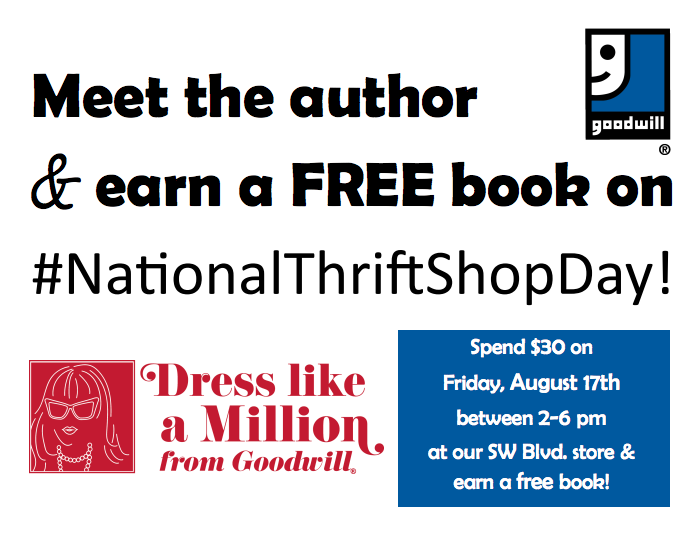 So come out to Goodwill and meet Jean Kelley, author of the book, Dress Like a Million from Goodwill on Friday, August 17th from 2 PM until 6 PM at the Southwest Blvd location, Tulsa, OK. Goodwill will be offering 25% off your total purchase of regular price merchandise!! 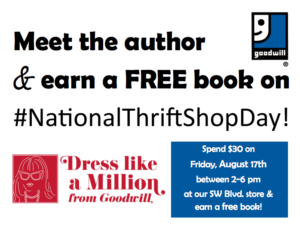 Spend $30 at Goodwill and you can get a FREE copy of the book! !